HJRUC Sponsorship | The HJRUC offers a wide range of sponsorship packages to suit all business needs. HJRUC Sponsorship has never been easier. We have a HJRUC Sponsorship package to suit every business size and every business budget. HJRC has a wonderful group of sponsors who have been with the club for many years and continue to support the club today. If you are interested in a sponsorship package go to our Contact Us page and select ‘Sponsorship’ from the recipient menu. You’ve email will be sent directly to the HJRUC Sponsorship Manager. The Sponsorship Manager will be in touch very shortyl to discuss your needs. 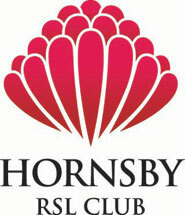 The Hornsby Junior Rugby Union Club sponsors provide wonderful services to our local community so please visit their business websites below and help them help us. Season 2019 registrations are now open. Submit your contact details here and the club registrar will contact you directly with all your joining instructions.